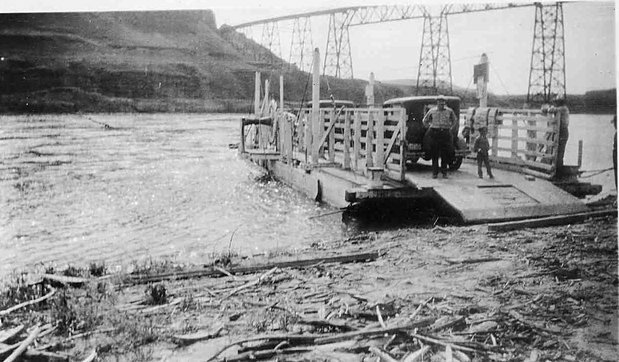 Prior to the construction of automobiles and immense bridges, people used ferries to cross bodies of water such as the Palouse River. Ferries were important; they allowed for people to travel to the opposite bank without having to take long and sometimes treacherous detours. They were normally established by canoeing to the other side of the river or lake and running rope or cable so that the ferry could use it as a guide or a track. 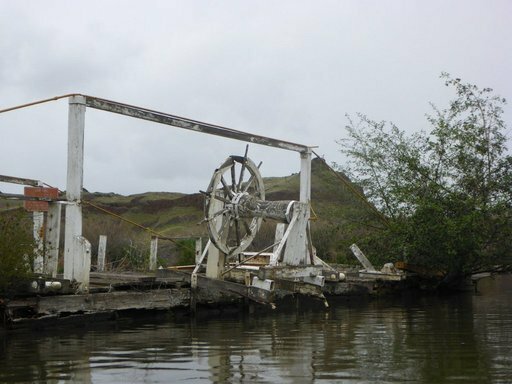 Lyons Ferry was first operational sometime prior to 1859 under the name of Palouse Ferry and was maintained by the McWirck Brothers. Edward L. Massey took ownership in 1860, and it became an important part of the 1862 Mullan Road, connecting Fort Walla Wall with Fort Benton. Daniel Lyons and John C. Markley purchased the ferry and in 1893, Daniel died, leaving his wife Olive his share of the ferry. The widowed Lyons purchased Mr. Markley’s share and ran it with Everett Truit. The name was changed to the Lyons Ferry Way Station. In 1926 the business was purchased by W.C. Cummings. He shortened the name to Lyons Ferry, which it has been ever since. In 1945 the Lyons Ferry traded hands for the final time, to Ruth and Nae Turner. The Mullan Road and the ferry itself were vital to life in towns such as Starbuck and those who lived in the region. Records show both the military and the ranchers using the ferry, not just normal travelers. In 1876, the military transferred men, materials, and animals across the river, paying $5 for a six-mule team and $4 for a team of four. The records also indicate that the military stayed near the ferry for the night and spent $10 per animal for overnight stabling. Records also show that Mervin DeRuwe made a habit of using the ferry to transport his sheep to feeding areas and back home, crossing “2,000 to 3,000 sheep at a penny a head.” It could take a few days to move this many animals. The ferry also was used as entertainment. People would frequently pay the fee just to ride the ferry across the river and back. James Shearer, who worked with the Turners, recalls trolling for fish on the way across the river, catching numerous salmon. Shearer claims that he even caught an 11-foot sturgeon while aboard the ferry. However, in 1968, the old Vantage Bridge was reconstructed across the Snake River at the point where Lyons ferry was. Nae Turner retired from ferrying the same day that the bridge opened for traffic, marking December 26, 1968, the final crossing of Lyons Ferry and the end of an era. 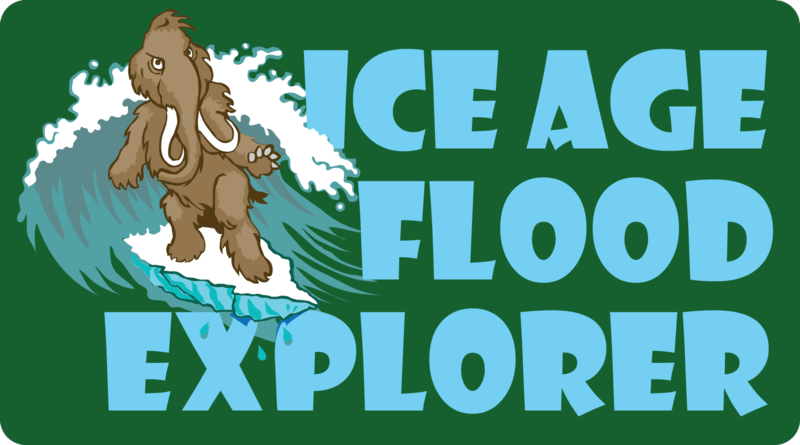 Ronald E. Scheck, “Lyons Ferry,” Ice Age Floods Explorer, accessed April 21, 2019, http://floodexplorer.org/items/show/16. Ferguson, Dean A. "A River Runs through the Lives of Lyons Ferry." Lewiston Morning Tribune, April 18, 2004. Accessed May 28, 2015. https://news.google.com/newspapers?nid=BtfE7wd9KvMC&dat=20040418&printsec=frontpage&hl=en. Fletcher, W. F. "FERRIES ON THE SNAKE." In Starbuck, 1882-1982, 81-82. Fairfield, Washington: Ye Galleon Press, 1982.